Jaguar is an old name in the automobile industry with an incredibly fascinating history dating back to 1922. The marque has an enviable reputation for sophistication and style and to this day retains its classy, quintessential British image created decades back. 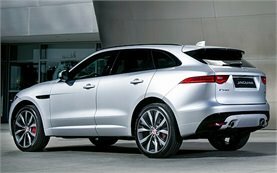 Today, as part of the multinational car manufacturer Jaguar Land Rover, Jaguar is one of the world’s premier luxury saloon and sports car brands. Jaguar cars are instantly recognizable for their pure lines and attention to detail, outstanding sleek design, powerful and agile engines, and unique driving feel continuing a revered bloodline of cars, some of which still considered the most beautiful ones in the world.